Just Order, Download and Print! 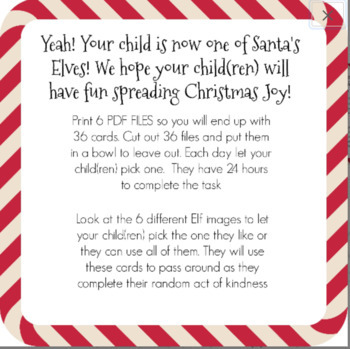 You will want to print the 6 PDF files that have a total of 36 different Random Acts of Kindness. 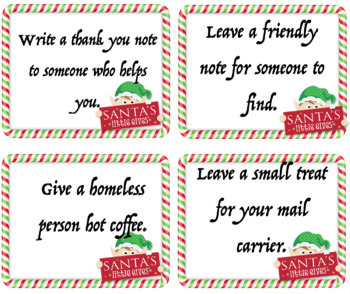 Some of these will be things kids can do right in their home & others they will have to branch outside the home to complete their random act of Kindness. You can get a pretty jar, bowl or Santa Hat to put these. Every morning or at end of day, each child can pick one card to choose from. They have 24 hours to complete their act of kindness.